Uber was founded just six years ago, but it’s already one of the fastest growing companies in the world. As an illustration of just how massive the company’s growth has been, Uber has reportedly created over 160,000 jobs in the United States alone and plans to create over a million more in the next five years. In 2014, it raised over 60% of all funding going to on-demand startups. But while Uber is often held up as a remarkable case study on the potential of growth hacking, the company has also faced some serious challenges stemming from the short cuts it’s taken. As a result, there are a number of different lessons for entrepreneurs to take from Uber’s growth–both successes and mistakes. Uber is a ride sharing company that was founded in 2009 by Travis Kalanick and Garrett Camp, a successful technology entrepreneur that had previously launched Stumbleupon. After selling his first startup to eBay, Camp decided to create a new startup to address San Francisco’s serious taxi problem. Together, the pair developed the Uber app to help connect riders and local drivers. The service was initially launched in San Francisco and eventually expanded to New York in 2010, proving to be highly convenient great alternative to taxis and poorly-funded public transportation systems. Over time, Uber has since expanded into smaller communities and become popular throughout the world. The service is more convenient than traditional cab companies. It offers an alternative for consumers who have become disenfranchised with traditional corporate service models offered by other transportation companies. Uber offers a higher level of customer service than traditional cab companies by employing drivers with pleasant personalities. The service allows customers to rate their drivers, which makes it easier for the company to hold drivers accountable and improve quality control. Uber customers can monitor their driver on a screen to estimate when they’ll arrive – a far preferable alternative to waiting an indeterminate amount of time for a no-show taxi. As a result, Uber has been able to rapidly expand into new markets around the world. The company is expected to generate an astonishing $10 billion in revenue a year, despite growing competition from alternative ride sharing companies such as Lyft. Given current trends, it’s expected that the company will continue growing over the next few years. One of the reasons Uber has grown so quickly is that it hasn’t been subject to the same regulations as most cab companies. However, many local governments have started introducing new laws that could limit the company’s growth opportunities. For instance, Uber recently stopped serving in Kansas due to these issues, although the State Legislature is working on a compromise to bring the company back. The company has faced criticism due to allegations of deceptive pricing. Uber has responded to those accusations and taken new efforts to improve transparency, but may continue to face ongoing branding issues as a result. It’s often difficult for customers to compare the cost of Uber services to taxis, because the pricing structure is very different. Uber charges customers at a lower rate per mile, but also charges for time. Analysts point out that customers may pay more for Uber if they’re in a large city moving at 15-20 miles per hour, while they would save money with Uber at higher speeds. Uber may need to clarify the instances when its services are more cost-effective to gain consumers that are motivated more by price than service quality. Despite these obstacles, Uber should be held up as a great example of growth hacking in action. Entrepreneurs who embrace these ideals can learn from Uber as they take new steps to position their own businesses for rapid growth. While Uber has earned an impressive reputation over the past year, it has also faced criticism over a few scandals. Some customers claim that drivers had cheated them out of money or sexually assaulted them. Some of these stories have been confirmed, while others have been thoroughly debunked – either way, they can still have negative implications for Uber’s brand. These types of scandals reflect poorly on any company’s brand image. For this reason, the company – and other entrepreneurs who follow its lead – would be wise to put sufficient safeguards in place to keep issues from arising and nullify any negative publicity that follows. While Uber has faced some regulatory scrutiny as the result of these complaints, it would probably have faced greater challenges from local lawmakers if it didn’t have internal controls in place to deal with these various problems. It takes grit and determination to succeed in the startup world. For Uber, that determination often led to a series of PR battles and allegations from the likes of Google, Apple and more. Throughout it all, Uber has found themselves safely on the other side pushing forward at all times. Key Takeaway: Be proactive about the scandals that could affect your organization and have a plan for how you’ll handle any that arise. Now isn’t the time to hide your skeletons away in the closet. Every business exists to serve a need for its customers. However, most companies employ the same limited set of business models – which are rarely enough to solve all the different challenges customers face. Companies that provide unique services and offer better solutions will grow much more quickly. The founders recognized that there are a number of infrastructural problems with public transportation in large cities, which can make it difficult for people to get around easily. 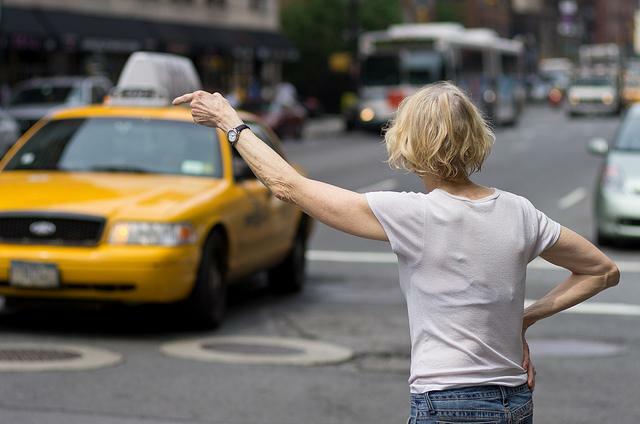 Cab companies don’t typically offer the best service, while other companies offer higher levels of service than taxis, but usually at a rate that’s well outside the average customer’s budget. Uber satisfied this need by providing rides at a cheaper cost than other taxi alternatives at a higher level of service. Many customers prioritize their experience with drivers. However, there aren’t many ways for regular customers to hold traditional taxi drivers accountable, because they don’t usually know their names or how to report them. Uber enables people to rate their experience with their drivers, which helps ensure that the company has only the best people on staff. Convenience is another very important priority for modern consumers. Customers can easily use the Uber app to check up on their driver for updates, giving them a better idea of when their cars will arrive. This sense of comfort simply doesn’t exist with regular cab companies. If there’s only one thing that startups learn from Uber it should be this: the only way to grow rapidly is by offering a product or service that’s unparalleled by any of its current competitors. Customers will happily work with a company that offers something better – even if it’s more expensive – but that company needs to be passionate and clearly communicate the benefits of its services over competitors. Key Takeaway: Customers give their business to the companies that solve the problems they’re facing. Make it your priority to provide genuine solutions to problems your competitors have overlooked. Being the first entrant into a new market is crucial. Uber was the first ride sharing company, which allowed it to carve out a large share of the market. While Uber eventually faced competition from other emerging ride-sharing providers like Lyft and SideCar, the company has a stronger brand presence because it was the first to market. As a result, consumers will almost always think of Uber first when they think of ride-sharing companies – and that’s the kind of brand recognition you can’t buy. For this reason, there’s a significant benefit to entrepreneurs who take their ideas to market as soon as possible. Uber, for example, has generated nearly 25 times as much revenue as Lyft. While part of that difference can be attributed to the company offering a wider array of services and participating in more markets, the greater brand exposure from being a first adopter also plays a key role. Certainly, you shouldn’t rush things to the point of launching before you have a viable product or service. But there’s something to be said for the idea of a minimum viable product. Don’t waste time with endless tweaks when there’s a distinct advantage to being the first to enter your new market. 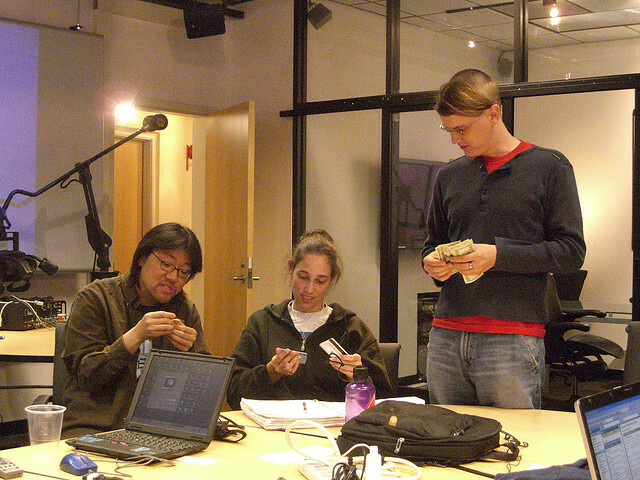 Startups inevitably face higher expenses as their businesses grow. That said, there are many ways they can minimize their costs by keeping a reduced infrastructure in place. One of the reasons that Uber has grown so quickly is that it doesn’t have the same overhead expenses as traditional cab companies. A less complex infrastructure also allows companies to adapt to changes more quickly, enabling them to avoid some of the problems that would otherwise hinder growth. As an example, since labor accounts for a large share of most transportation companies’ operating costs, Uber has been able to save money by hiring noncommercial drivers. Uber wasn’t always a cost-effective competitor to cabs. According to the 2012 report “How a Technology Firm is Changing the Traditional Transportation Model” by Kellogg University, the company’s rates were roughly twice as high as cab companies. They initially tried to compete on service alone, but later unveiled a new framework to compete on price. In only a year, Uber went from being a much more costly alternative to taxis to being 10% cheaper – even in large cities like San Francisco. This might sound like a no-brainer, but every startup must maximize its cost-effectiveness without sacrificing its core vision. High infrastructural costs are one of the biggest problems that startups face as they grow, given smaller companies’ flexibility to adapt more readily. This is one of the reasons that IBM was forced to abandon the PC market in 2002 – their infrastructural costs were simply too high to compete with companies that could operate on much smaller margins. Key takeaway: Controlling expenses is a critical part of running a business, so strive to be as cost-efficient as possible. 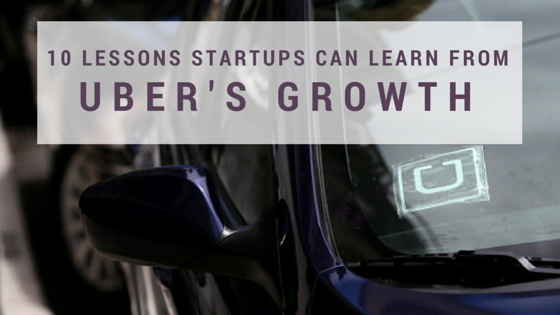 A recent study from Benenson Strategy Group attributes Uber’s growth to its flexibility. Since the company’s infrastructure is more limited, it doesn’t require the same amount of manpower on hand. As a result, Uber can offer more flexible schedules to employees, which are attractive to people that need additional streams of income. Many Uber employees like they idea that they can make money on the side while working a regular job. A swath of new drivers are seeking employment with the company. According to a recent report, 40,000 drivers were hired in December. Their average earnings are $19 an hour – a generous compensation rate that, when paired with the company’s flexible hours, is certain to draw top-tier candidates. Key takeaway: Offering excellent compensation is a great way to attract high quality employees. Create a compensation package that appeals to them and that distinguishes your business from your competitors. Company executives can realistically manage most functions during a company’s initial stages of growth. However, delegation becomes more and more important as the company penetrates new markets and grows its subscriber base. Uber faced this challenge head on by outsourcing more remedial decisionmaking functions to local organizations as growth accelerated. To see this in action, consider that the company’s central headquarters in San Francisco still accumulates data from all of the cities that Uber operates in and uses it to make more competent decisions. However, this office has little involvement in most other aspects of the company, such as hiring. Instead, Uber believes that local management has a better understanding of the measures that need to be taken to ensure services are provided efficiently and that both customers and employees are satisfied with the experience. Micromanaging is rarely a good idea in any business, but it becomes increasingly unrealistic as a company grows. Entrepreneurs must learn to trust their subordinates and delegate more basic tasks to them to ensure the business can function at optimal efficiency. Uber also illustrates that this is particularly important for companies with locations or outposts in different geographic areas, as the company’s founders may not be aware of local regulations or market forces that must be countered. Empowering managers and other employees to handle these issues is crucial for achieving exponential growth. Key takeaway: Operating a business across multiple geographies is challenging, as it’s difficult to stay current on all of the local regulations and social constructs that will influence your company. Empower local managers to make crucial decisions. Uber has grown by focusing on all three of these strategies. While it’s never a good idea to grow into markets where expenses exceed revenue, Uber recognizes the value in expanding into markets with more marginal growth opportunities. For instance, the company has focused on growing their business in China even though potential revenue is limited, simply because they want to boost their company’s reputation across the globe. Although this was a market they eventually backed out of, Uber made out big as the government regulation ended ride-sharing opportunities with recent crackdowns. 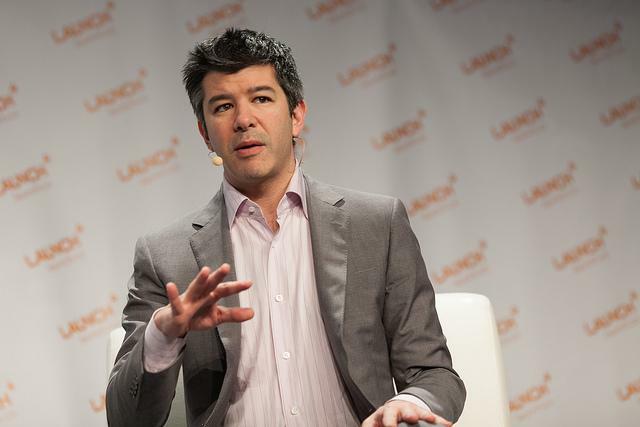 Whether Travis Kalanick foresaw this prior to selling Uber-China or not is another matter. What we do know, is that you’re never in too deep to pivot and make a change that could work out for the better. Uber isn’t the only business that operates in developing countries. Microsoft, Google and other large companies got their start in large metropolises in the United States, but later expanded into regions with less profitability. These areas offer tremendous opportunities for growth for startups, especially as smaller regional economies start to grow around the world. Never being one to shy away from taking on new opportunities, Uber has recently expanded what their service offers. They took their already available tracking technology and packaged it together as a service for commercial delivery teams called UberFleet. This app works as a project management and data tracking tool in the SaaS industry. Uber has also brought on a new element called UberMoto to their already popular App offering motorcyclists and scooter drivers to get in on the game for certain markets. It’s pretty clear they have no limits when you consider their high involvement with latest technology that most other businesses haven’t yet touched. Driverless cars, flying taxis, the list could most certainly go on. Did someone say Uber-Holodeck? Key takeaway: There are many ways to grow your business, so don’t limit yourself. Pursue any possible avenues for growth, as long as they’re profitable. Contrary to popular belief, elegant business models are rarely the way to go with startups. More moving parts in a business model means that there are more ways for things to go wrong. Subrah Iyar, the cofounder of Moxtra and Webex, argues that the genius behind Uber’s approach lies largely in its simplicity. Develop a clear vision for your business model in advance. Communicate procedures to everyone in the organization and provide sufficient training to incoming employees. Provide necessary internal controls to ensure the business operates in line with the company’s vision. Monitor customer feedback, regulatory changes and other external variables so the business can adapt as needed. Ironically, taking the time to create a well-optimized approach can be much more challenging in the early stages. However, it will save considerable time and energy down the road, allowing you to free up resources to focus on growing your startup. In Uber’s case, their original business model and plan was actually more complicated than the one they ended up with. Offering ‘luxury taxis’ to consumers was complex. It wasn’t what they set out to do. Uber had a much bigger vision: offer a ‘better ride experience’. Luxury taxis was just one way they could go about achieving that goal. It wasn’t until they searched beyond that and discovered that all they needed was to offer a ‘better experience’ and luxury cabs would just be one of many benefits. Today, Uber’s services stretch way beyond luxury taxis. They’re working on self driving cars, self driving trucks, and more. Key takeaway: The genius behind the best business models lies in their simplicity. Try to keep your business model as simple as possible to avoid needlessly complicating things. Over the centuries, many philosophers have pointed out that change is the only constant in life. That position couldn’t be any more true for growing business startups – especially in the 21st century. Capitalism is a constantly evolving ecosystem, which means that companies need to respond to changing customer expectations, new technology and regulatory uncertainty. This is particularly true for companies like Uber that operate in nontraditional markets like the sharing economy, as consumer preferences are radically different than previous generations and because many government agencies feel compelled to create new laws addressing any problems that come to their attention. Companies that compete in the sharing economy face another type of scrutiny on top of these challenges. People often expect them to have a more genuine mission than corporate service providers, which means that customers hold them to a higher standard. Transparency is the best way to avoid these issues, which is a lesson that Uber had to learn the hard way. Uber may have been able to get away with its surge pricing model while it was a smaller company; however, this practice drew a lot of negative publicity as the company grew. Take Slate’s article, “Uber’s Surge Pricing Honesty Problem,” for example, which discussed the company’s practice of raising rates during major events, inclement weather or other unusual events. The criticism in this case isn’t centered around the fact that Uber raised prices to reflect high demand, but rather that they didn’t communicate the rationale behind the price increases to their customers. Uber quickly learned that transparency was a crucial element of the sharing economy, resulting in CEO Travis Kalanick announcing that, going forward, the company’s app would include a feature to warn customers about price increases and notify them when the increase would end. Key takeaway: One of the biggest challenges of running a business is adapting to the constant changes in the world you operate in. Recognizing the new opportunities and challenges available is crucial to your success. Word of mouth has played a huge role in Uber’s growth. According to a 2011 blog post, Uber grew almost exclusively by word of mouth. And while the company has since started investing in new marketing, word of mouth remains its best way to reach new customers. The benefits are nearly endless. While an advertisement is guaranteed to reach at least a handful of people, its exposure ends the moment the ad is taken down. On the other hand, satisfied customers will never stop being powerful brand advocates, and the new customers they generate may eventually become advocates as well. If a company provides a truly superior service, word of mouth can create a massive snowball effect that will draw in far more customers than traditional marketing. Customers are more likely to trust feedback from their peers than advertisements. A report from Nielsen shows that 84% of customers take action from personal recommendations – the highest rating of any advertising method surveyed. Uber encourages customers to share their personal experiences, because it recognizes that doing so is one of the fastest ways for the company to grow. Word of mouth is completely free. Banner ads cost money. Promoted social posts cost money. But customer recommendations? Totally free. This is particularly important in the current economy, as so many companies are strapped for cash and need to maximize the impact of their limited resources. Closer relationships with the consumer. We’ve already covered why this is beneficial for conversions and consumer growth, but it’s important to recognize the value on the business development side as well. Startups see constant change and criticism. It can come from investors, from peers and even partners. Understanding the wants and needs of your consumer should always be your constant when the tides of criticism are high. That way, you can make decisions based on what your market wants, and not just based on what your investors and advisors think. Word of mouth is a core part of Uber’s marketing strategy and it’s played a large role in the company’s success. Other startups should leverage this technique to its fullest potential as they grow their customer base and brand reputation. Key takeaway: Satisfied customers are the most powerful brand advocates. Leverage them to their fullest potential. Uber stands next to Airbnb as a model of a success in the sharing economy. It’s an economy that has seen its fair share of startups come in and out without even getting recognized. Any startup that approaches these waters are faced with “chicken or the egg” problem. Before you can build a big audience of customers, you need people who can offer their services. Before you can get people who offer their services, you need a userbase of customers. The company has made a few blunders along the way, but for the most part, Uber has created an ingenious model that every startup founder should strive to learn from. If your own growth feels stalled, look to Uber for the inspiration needed to drive your own business to new heights. What are your thoughts on the Uber business model? Have you learned anything that your startup can benefit from? Feel free to share your thoughts in the comment section below!